Kids hit the big stage at Hobby Center for the Performing Arts in Zilkha Hall, 800 Bagby St., for the annual Kids’ Day at Hobby Center on June 22. Rehearsals for 135 students begin at 2:30 p.m., and the curtains rise at 6 p.m. for the hour-long performance. The students in elementary and middle school attend afterschool programs funded through Harris County Department of Education’s Center for Afterschool, Summer and Enrichment for Kids, or CASE for Kids. The event gives students opportunities to learn from local professional artists in CASE after-school summer programs. Kids’ Day at Hobby Center for the Performing Arts is the culminating event. Students perform or display their artistic works ranging from movie-making to stage combat to theatre at the Hobby Center. CASE for Kids provides resources, trainings and funding for afterschool programs, serving students in grades pre-k through 12 in afterschool programs in schools, child care facilities and community centers throughout Harris County. 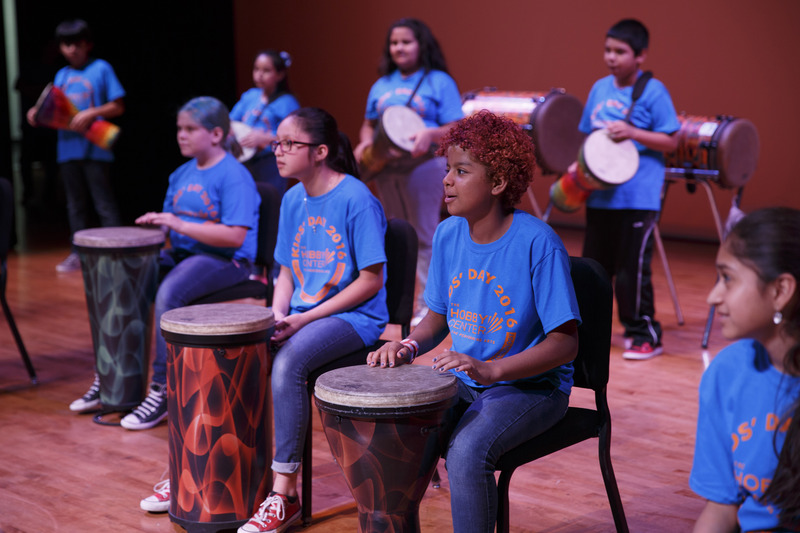 The students participating in Kids’ Day at Hobby Center are enrolled in CASE for Kids summer programs through the Texas Education Agency’s Afterschool Centers on Education’s 21st Century Community Learning Center. HCDE Superintendent James Colbert Jr. says the long-standing, fine arts, summer program helps bring attention to the importance fine arts plays in shaping a well-rounded individual, giving kids exposure to experiences with music, theatre, art and dance. Artist professionals like Samuel Dinkins of Dinky Drum Co. LLC work with the students for several weeks in their summer afterschool programs. Other artists come from nonprofits such as FotoFest, Ensemble Theatre and the Brazilian Arts Foundation. School districts participating include Pasadena, Alief, Aldine, Clear Creek, Galena Park and Spring Branch.